Photography class through local community college to the Oceano Dunes and a Monarch preserve in Pismo Beach. Click "Map This" to see where we went. We traveled by train to Goleta and then drove a rental car to Pismo Beach. The trip was a bit of a bust, since it rained for most of the time. The majority of the photos in this gallery were taken at the sand dunes just after it had stopped raining. 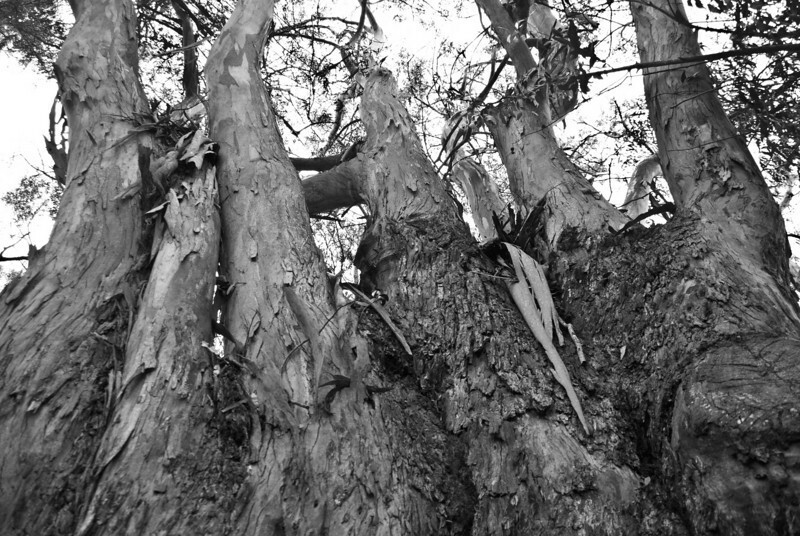 Eucalyptus Looks like fingers... giant wood fingers.